JMDM-IPBT-HDDR: This is way cool....Stream music videos down off of You-Tube with your favorite Smartphone, and direct by Bluetooth the audio signal into the factory Harley radio, thru this new Bluetooth digital music controller. You can also stream stereo music down off of Pandora and/or your SmartPhones's own internal music files, and direct them by Bluetooth into the Harley audio system, thru this Bluetooth enabled digital music controller. These exciting music streaming features will work with an iPhone, Android, Blackberry, Samsung NOTE or almost any Smartphone available in the marketplace today that incorporates Bluetooth as part of its design. Our new digital music controller will also connect to a standard iPod by wire and direct the stereo music into the Harley audio system aux input, using the iPod’s own onscreen controls, while at the same time keeping the iPod fully charged. 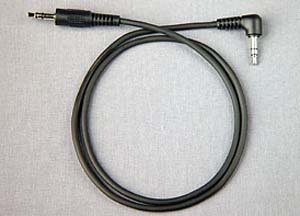 Technicians have configured the input signal levels from the new controller, to the Harley radio, so that the system volume levels available on the highway and overall sound quality thru the entire system, is significantly better than what is available when using Harley’s own iPod adapter, XM satellite radio module OR built-in FM stereo. The Harley radio control menu selections of bass, treble, front/rear fader, auto volume control, driver/passenger intercom, bike-to-bike CB radio and handlebar volume control, (if activated) all remain unchanged when using the Bluetooth digital music controller. 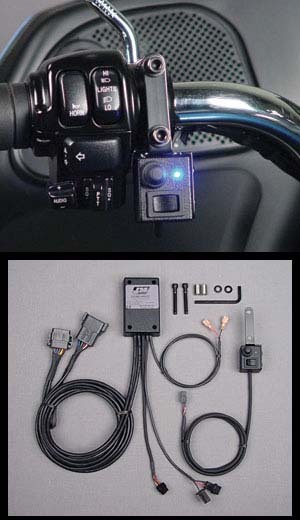 In fact, when mounted on a Harley Ultra with the optional microphone signal integration component, and linked by Bluetooth to a cell phone, the driver can actually talk on the phone thru his or her J&M or Harley brand helmet headset, without affecting the driver/passenger intercom or CB functions of the audio system (phone calls are accepted or initiated onscreen). A Garmin Zumo can also be linked by Bluetooth to the music controller, while an iPod is simultaneously connected by wire, and when a navigation command or cell phone call is received thru the Zumo, it will automatically interrupt the iPod music signal into the system. All of this from little black box about ½ the size of a pack of cigarettes. Actual installation is pretty simple once you remove the fairing, everything is plug-n-play, but placement of the music controller is somewhat critical so that you don’t block or interfere with the internally mounted 2.4 ghz Bluetooth antenna. This digital music controller Bluetooth/Smartphone/iPod kit includes all direct plug-n-play harnesses for the Harley Bagger audio system, wired extension cable for iPod, "Lightning" plug adapter for new iPhoneV, 3.5mm aux extension cable, metal mounting bracket, pre-gummed Velcro mounting strips and a complete installation, operation & easy to use Bluetooth linking instruction manual.